Toshiba recently introduced its all new Dynabook in Japanese market, named Dynabook RX3W. The all new Dynabook RX3W comes in three model options all them featuring WiMAX capabilities.The new Toshiba Dynabook RX3W laptops comes pre-installed with Windows 7 Home Premium OS and boasts Core i5 processors. Toshiba Dynabook RX3W laptop comes equipped with 13.3-inch display with resolution of 1366 x 768 pixels and is powered with a 2.4GHz Intel Core i5-520M processor.The laptop houses 4GB/8GB RAM and 128GB SSD for data storage. New Toshiba Dynabook RX3W laptops Features includes Gigabit Ethernet, Wi-Fi 802.11a/b/g/n, Bluetooth 2.1 + EDR, HDMI port, a DVD burner and most importantly the laptop has built-in WiMAX connection.The Dynabook RX3W laptop includes a 10 hours back-up life provider battery and the Laptop's dimensions are 316 x 227 x 16.8-25.7 mm. The all new Toshiba Dynabook RX3W laptop is expected to arrive for sales by next month with a price tag that starts at $2,700. 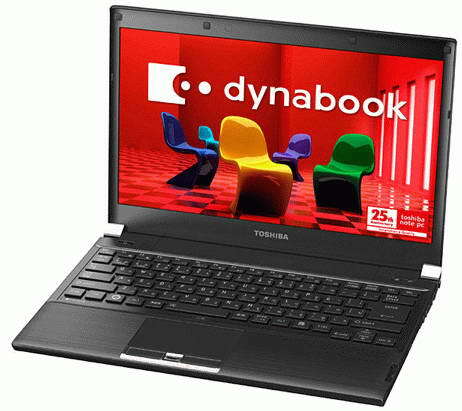 Tags:-13.3-inch laptop, Toshiba Dynabook RX3W Laptop features, Toshiba Dynabook RX3W Laptop specifications, Toshiba Dynabook RX3W Laptop details, Dynabook RX3W, Laptop, Notebook, RX3W, toshiba, Toshiba dynabook, Toshiba Dynabook RX3W, Toshiba dynabook RX3W/8MW PARX3W8MLB10W3, Toshiba dynabook RX3W/8MW PARX3W8MLJ10W3, Toshiba dynabook RX3W/9MWMA PARX3W9MLB10MAW3, Toshiba dynabook RX3W/9MWMA PARX3W9MLJ10MAW3, Toshiba RX3W, WiMax, WiMAX Laptop.